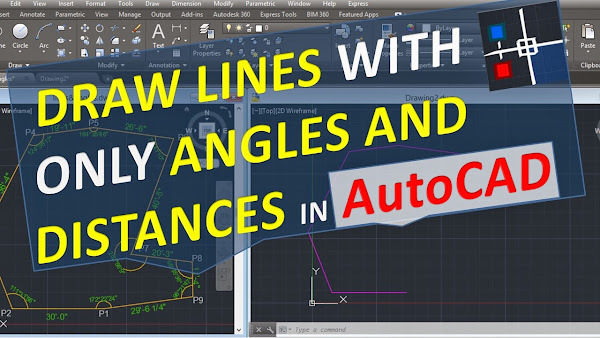 Sometimes we need to draw lines at an specific angle relative to another line to draw a path or a polygon, only with lengths and angles in AutoCAD, of some plan that someone provided us only with the description of these features, also you can apply this with drawings that only indicate directions and lengths. You are working on a drawing in AutoCAD, which demanded a lot of hard work, and suddenly the PC turns off or crash or freeze, and you forgot save!, Wow! a huge problem ... but don’t worry, here is the solution. 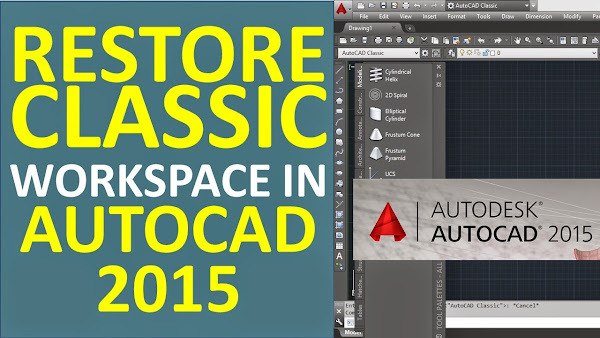 AutoCAD has two types of autosave files: a backup file (*.bak) and autosave file (* .sv$). 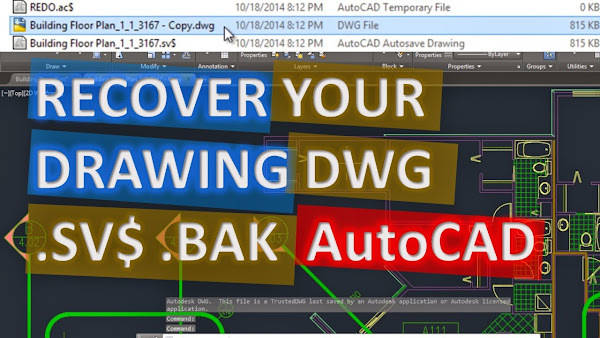 The bak is a file that always is generated as backup of dwg file (drawing, AutoCAD file) in the same folder where we saved. The sv$ is a temporary backup that is created in the temp folder found in the temp folder of your user’s files Windows, this sv$ saves us 100% of the content of the dwg file. These two backups, we can change to a dwg file of AutoCAD to open it, the bak file is easy, only you have to change its extension for example: floor_plan.bak to floor_plan.dwg, but the sv$ which has 100% of our work is somewhat more complicated, also in this tutorial I’m gonna show you how to create a folder to always have on hand the sv$ to change its extension and never lose our drawings and never be afraid of a fatal error or power outage. 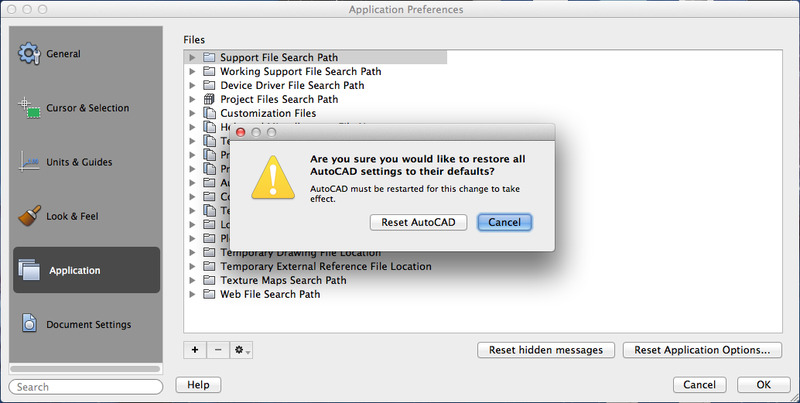 If you have the problem that the File selection dialog boxes do not appear in AutoCAD and you can’t save or open your drawing. The solution is just to apply the command FILEDIA. At the command line, type filedia and set the system variable to 1. 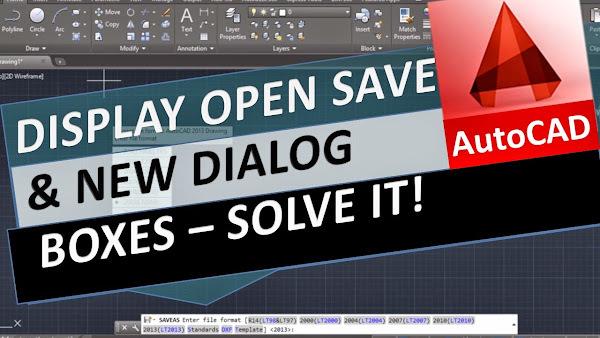 In this Video Tutorial I'm gonna show you how to fix the problem when does not display dialog boxes and you can’t save your drawing. 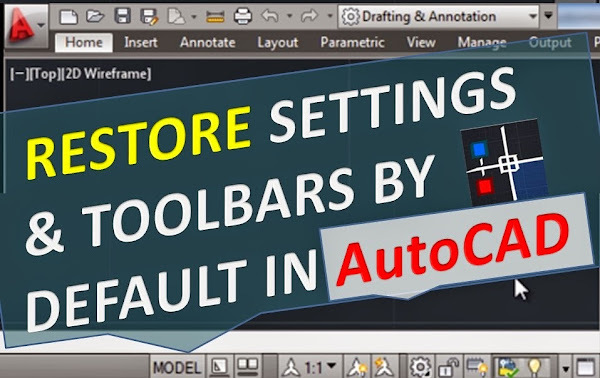 Continuing with the tutorial of How to Restore Default Settings & Toolbars in AutoCAD, I’m gonna show you another way to restore menus, toolbars, workspaces in AutoCAD. First option is opening a CUIX file that stores user interface customization, with this we can restore menus, toolbars, workspaces, and other interface elements that comes with AutoCAD with Menu Command. Second option you can test with Ctrl+9 to show the command line and type “ribbon” to show the ribbon. Another solution could be by selecting another workspace and then select again “Drafting & Annotation” workspace. Sometimes happens that we open our AutoCAD, and give us the surprise that we don’t have any toolbars or tabs on the Ribbon or Command Line, and we cannot begin or continue our drawing. In this tutorial I'm gonna show you how to restore or reset settings to default, bars or tabs on the Ribbon by default in AutoCAD. To do this I have identified three solutions, the first is a new option for the newer versions of AutoCAD, the second is for most versions of AutoCAD and the third is related to a preventive way to restore your configuration with one in good condition. 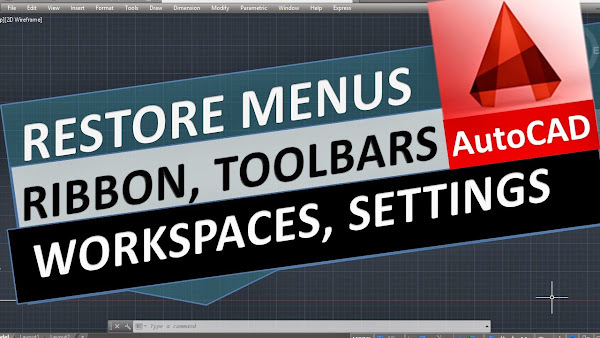 In the next part of the tutorial I’m gonna show you Another ways to restore menus, ribbon, toolbars, workspaces in AutoCAD. Click Preferences under the AutoCAD menu. Click the button "Reset Application Options." 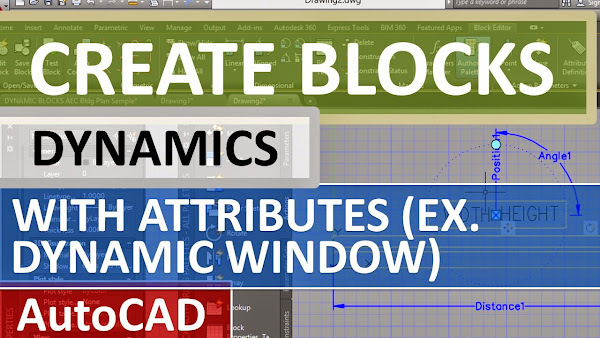 Continuing with the tutorial of how to create dynamic blocks with attributes in AutoCAD, I'll show you how to insert a dynamic block of a window with wide and high data attachment, automating the entry of data on the window's width, so if you change the length of the window, automatically change the length data of the block . This example can adapt to any of your needs. IMPORTANT: The content and materials published and the assistance given is completely free. Your contribution allows this site continue running.